These Halloween cards are super cute and super easy to make. All you need is some simple Halloween stickers and Halloween colored paper scraps! 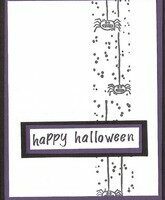 DIY Mini Cards And Envelopes… Easy Birthday Cards & Halloween Cards Made From Stickers! 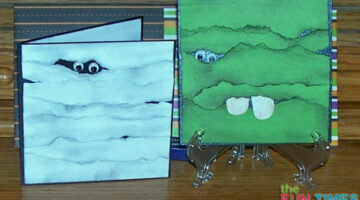 Detailed instructions for making DIY mini cards and envelopes that are suitable for mailing. 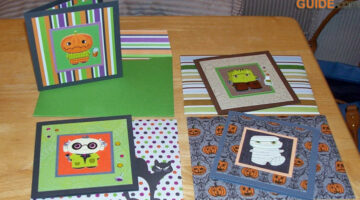 Handmade cards using Birthday stickers and Halloween stickers are used as examples. If black and orange and scary things are getting old each Halloween, change things up this year by making a fun Halloween card that’s bright and cheery instead. This one features a friendly spider with googly eyes and looks best using fun, colorful papers. 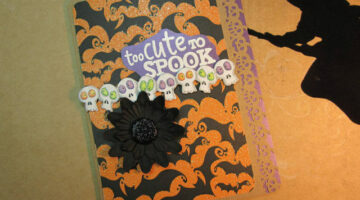 This is an adorable Halloween card that’s simple to make from cardstock. 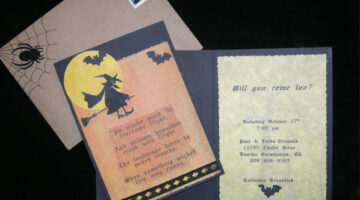 It would also make a fun Halloween party invitation! Here’s a quick and easy Halloween card idea. Instructions for making a fun Halloween card from scratch.